Pervasive errors have appeared in the literature dealing with the taxonomy and nomenclature of this species. The original description is represented as a year later than its actual publication, and the type locality is incorrectly presented by an overwhelming majority of authors. Both mistakes were perpetuated in the exhaustive benchmark taxonomic study of this species by Pearce, Fields, and Kurita (2007). The fact is that Charles Baker Adams independently (and obscurely) published the description of this species on Feb. 22, 1841 [see page two]. The text was repeated verbatim in Adams (1842: 158). It may be that the author was in a bit of a rush to get this work circulated before Augustus Addison Gould published his Pupa monograph (Gould, 1843). It was Clench and Turner (1950: 243) who caught this oversight by Pilsbry (1948: 889) and others. Clench (1965: 107) designated a lectotype (MCZ 186171) and fixed the type locality as Roscoe, Ohio. Inexplicably he apparently forgot his early detective work and cited "1842" as the date of the description. Later Johnson and Boss (1972) illustrated that lectotype specimen, incorrectly stating "here selected." It seems nobody has caught on to this work done on the Adams Collection at MCZ (despite memory and communication being exemplary within those hallowed walls during those halcyon years!). In summary: Gastrocopta tappaniana (C. B. Adams, 1841) [see Clench and Turner, 1950: 343]. Type locality: Roscoe [Coshocton Co.], Ohio (Clench, 1965) Lectotype MCZ 186171 (Clench, 1965: 107; Johnson and Boss, 1972: pl. 42, fig 12). I wish to thank Richard I. Johnson of Chestnut Hill, MA for kindly providing the C. B. Adams (1841) paper at my request. Adams, C. B., 1842. Invertebral animals of Vermont, Mollusca in Z. Thompson, History of Vermont. Burlington. pp. 151-169. Clench, W. J., 1965. Note on Gastrocopta tappaniana (C. B. Adams). The Nautilus 78(3): 106-107. Jan.
Clench, W. J. and R. D. Turner, 1950. The western Atlantic marine mollusks described by C. B. Adams. Occ. Pap. Moll. 1(15): 233-403 incl. pls. 29-49. June 26. Gould, A. A., 1843 Monograph of the species of Pupa found in the United States. with figures. Boston Journal of Natural History 4: 350-359. Johnson, R. I. and K. J. Boss, 1972. The fresh-water, brackish and non-Jamaican land mollusks described by C. B. Adams. Occ. Papers on Mollusks 3: 193-233. June 2. 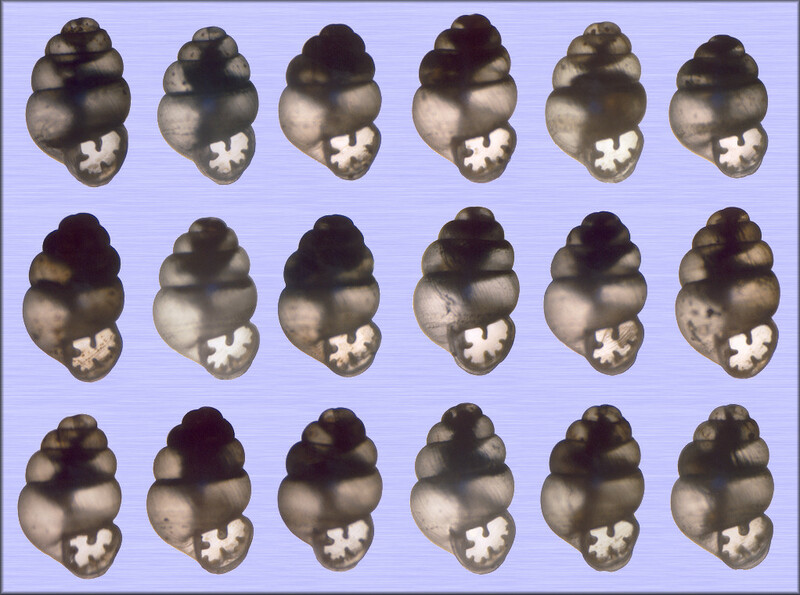 Pearce, T. A., M. C. Fields, and K. Kurita, 2007 Discriminating shells of Gastrocopta pentodon (Say, 1822) and G. tappaniana (C. B. Adams, 1842 [sic]) (Gastrocopta: Pulmonata) with an example from the Delmarva Peninsula, eastern USA. The Nautilus 121(2): 66-75. June 27. Pilsbry, H. A., 1948. Land Mollusca of North America north of Mexico vol 2 part 2. Academy of Natural Sciences, Philadelphia. xlvi + 591-1113. March 19.